Recently one of my students who is an elderly lady shared with us this little snack that I've never seen being sold anywhere. 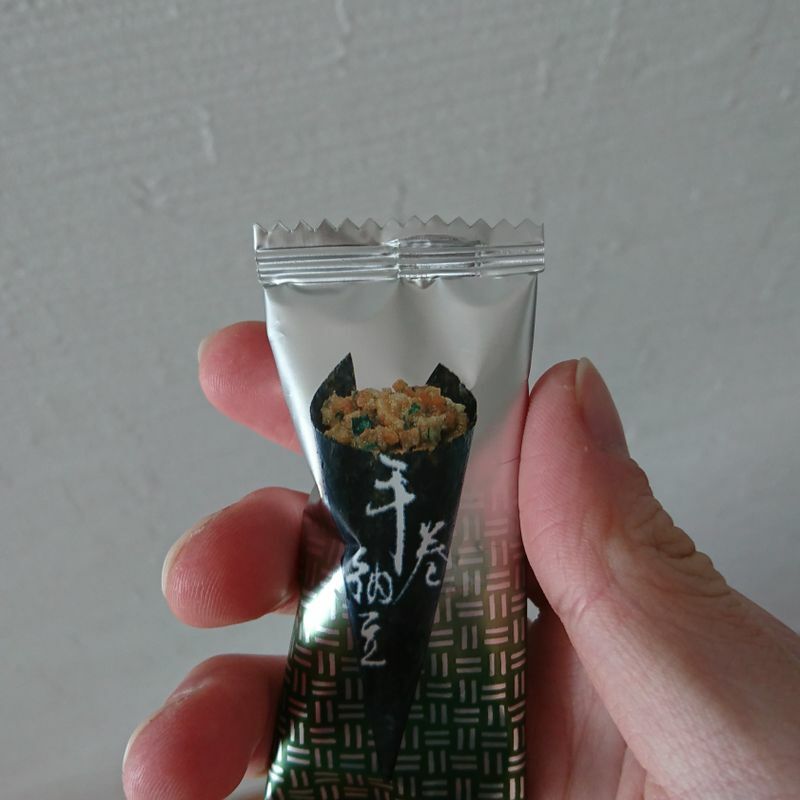 Although I was surprised to see these mini dried natto handcone snacks, I guess they aren't that rare since no one else was surprised. It is as it looks. There's a bundle of dried fermented beans wrapped by a little sheet of seaweed. Just as most snacks in Japan are, each cone is very well made and the product is as it looks on the package. 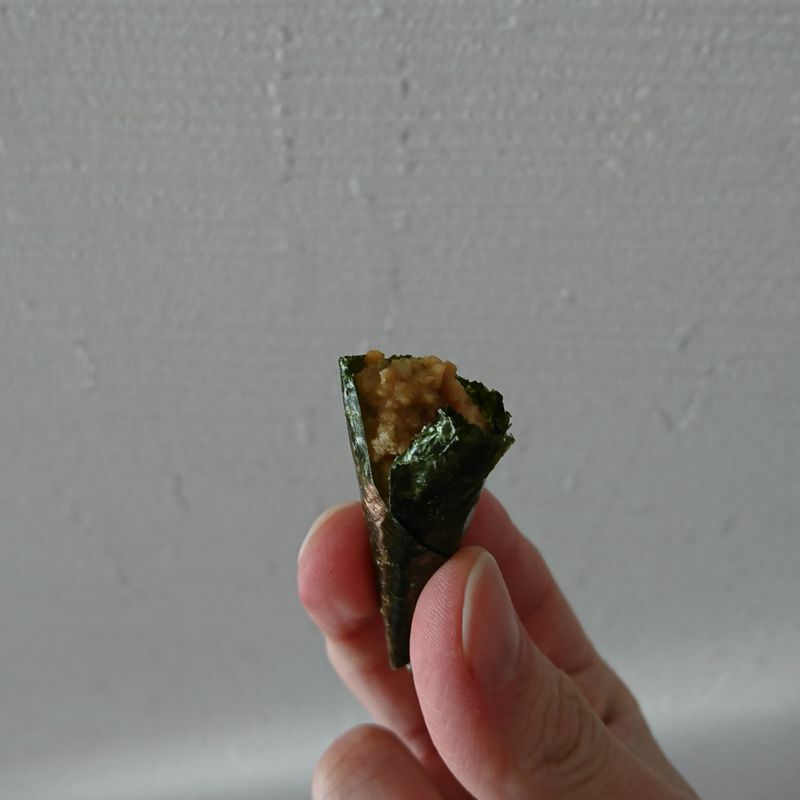 Taste-wise, it is as you would expect what a mixture of natto and seaweed would be. The shock comes with the texture, however, as the dried natto absorb the moisture in your mouth and turn into something closer to real natto that was in the fridge for a few days too long so they were on the way to dehydration. Personally I liked it, and for fans of these beans, go for it. If not, stay far far far far away.